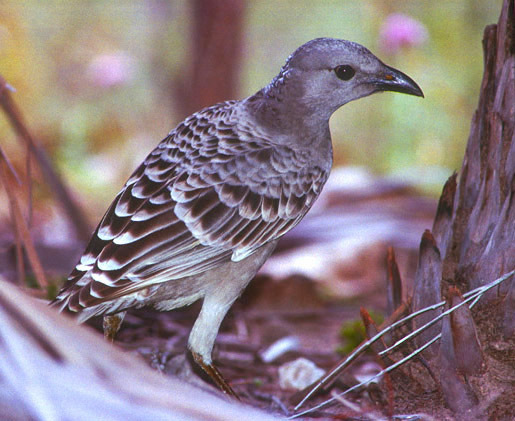 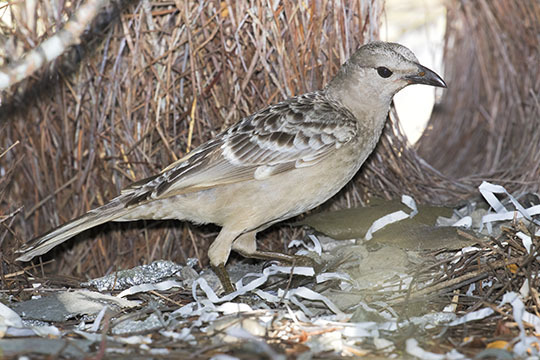 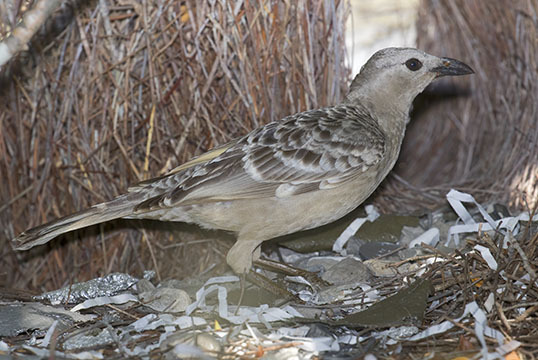 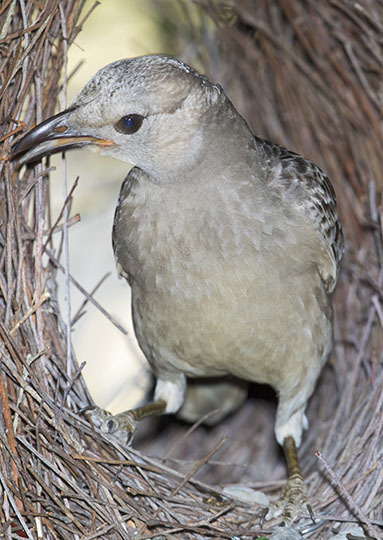 Great bowerbirds, as their name implies, are the largest of the Australian bowerbirds. 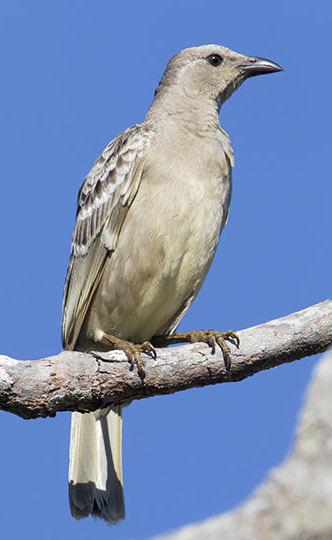 They live in the northern tropics of the continent and are frequent visitors to campgrounds and small towns. 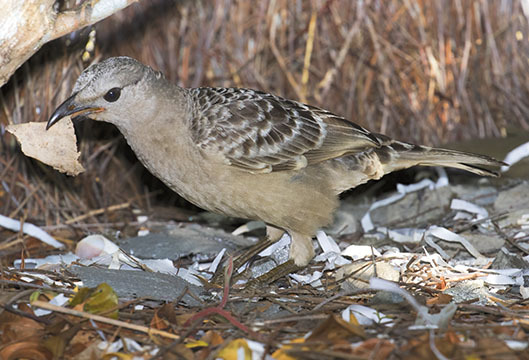 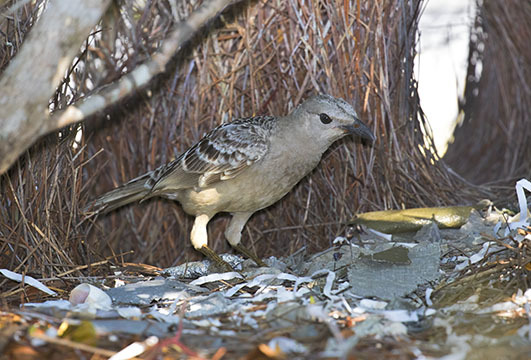 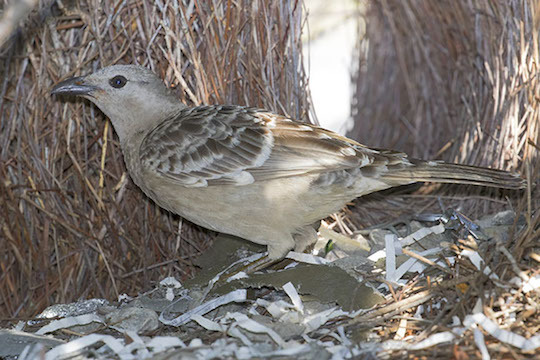 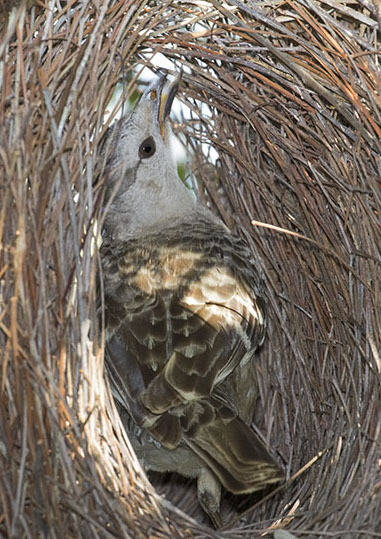 Like all bowerbirds, males of this species build special structures of twigs, decorated with attractive objects, for use in courtship (great bowerbirds particularly like small bones, but also will collect all manner of human junk, as one of these has done). 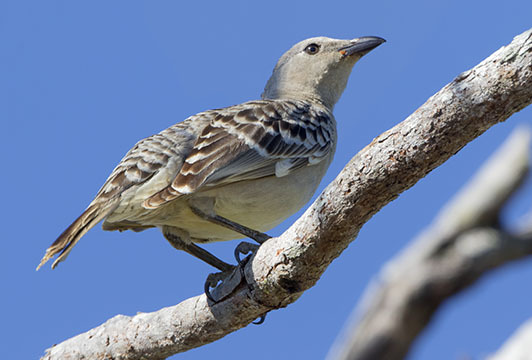 This one was at Edith Falls National Park in the Northern Territory, and across the street from Julatten School in far-north Queensland.